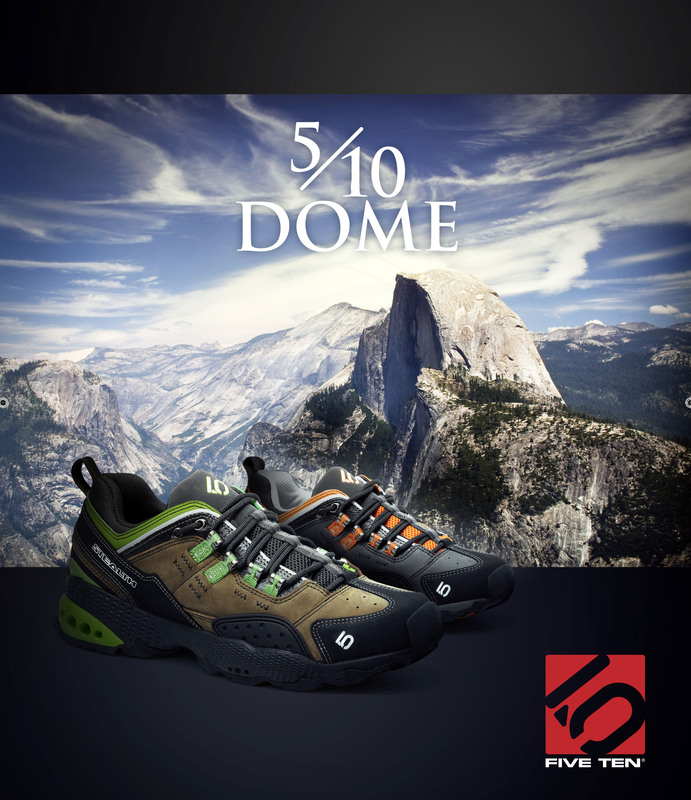 National print ad for Five Ten's new shoe, the 5/10 Dome. National, back-cover print ad for the release of Five Ten's new shoe the 5/10 Dome. The ad ran on several back covers, included Deadpoint Magazine, Rock & Ice and Urban Climber.